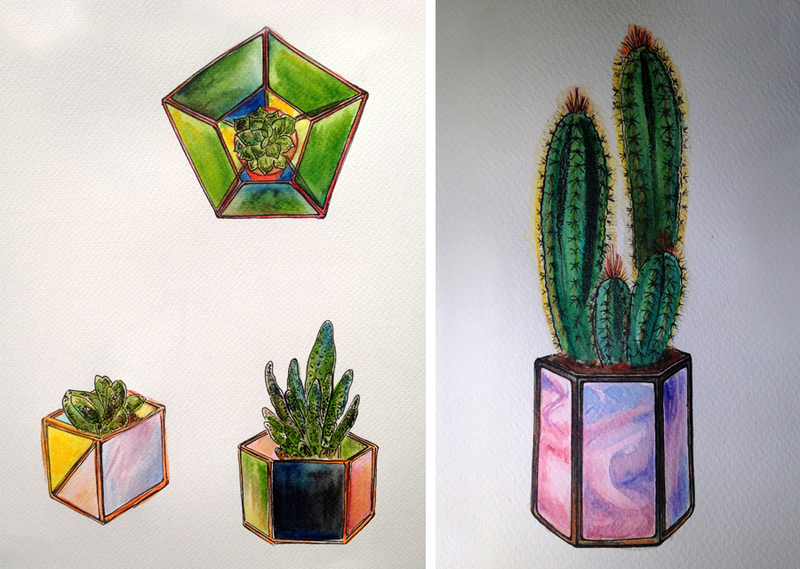 Combining linear illustration with glasswork, we have created cacti-based, bespoke planters and boxes. We are developing a range of a limited series of unique and hand-etched, glass accessories and jewellery. The new range will draw on themes of geometric pattern, landscape and Christmas. Fiona Thomson of Glasshouse draws inspiration from geometric form and travel. Her work is handmade with designs focusing on colourful, vibrant and contemporary stained glass for home and garden as well as a range of jewellery pieces.